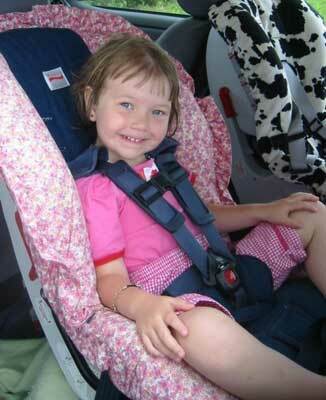 Sandrine, 4 years, 4 months. This is Sandrine's "final" rear-facing picture. 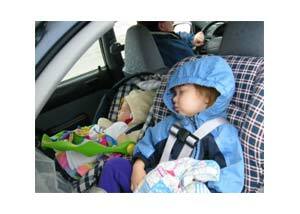 At 4 years and 4 months, she now weighs 33 lbs, the rear-facing limit for her Britax Marathon. 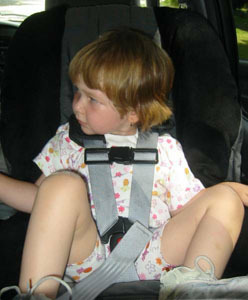 Sandrine is 3 years, 4 months, about 28-30 lbs and rear-facing in the Britax Marathon. Sandrine is 2 years, 9 1/2 months old in this photo. Baby sister Nyssa beside her RF in the Fisher Price Stay-In-View. 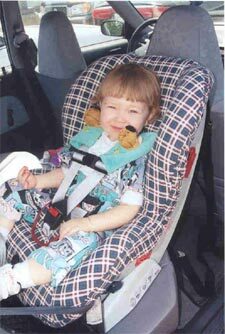 Sandrine is 2 years, 3 months old in this photo, about 20-21 lbs, and 2-2.5 inches from the seat shell top of her Rear-Facing Britax Roundabout.